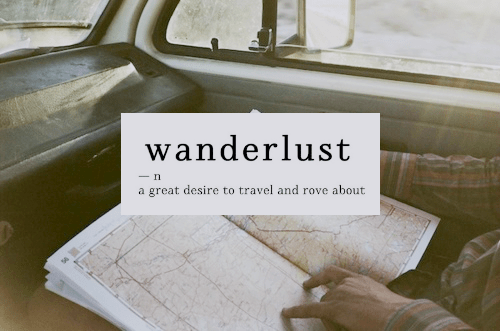 I’m perpetually feeling like this, constantly dreaming of packing my bags and taking off. Running away? Quite possibly. The past few weeks especially so; a combination of several friends taking that step and travelling for a few months, the new year with all it’s promises of things to come along with the endless, uninspiring greyness of winter. I miss the exploring, searching and getting lost of a new place; of feeling excitement about being somewhere that makes you feel alive. I want new terrain to photograph, different places and people to inspire me and long days of wandering aimlessly, not searching for anything in particular. Is it boredom, the monotony and banality of everyday life? Or is it just that urge to see more and do more with my life and break away from the restraints and responsibilites I feel at home? I’ve always dreamed of having no ties, of feeling completely free and able to go anywhere without worrying about anything, of having a career that allows me to do that. A long trip this summer is very much in order. I’m planning to explore California some more and see where to road takes me. Also hoping to take a weekend trip to Berlin in May which is exciting!